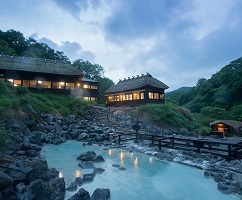 Nyuto Onsen is a hot spring resort in the rural setting, surrounded by deep forest and mountains. 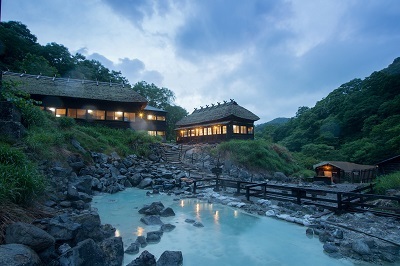 Main features of Nyuto Onsen are simply to enjoy plenty of mountain and forest scenery, taste traditional Japanese meals and appreciate their natural hot-springs. In summer, thousands of flowers blossom and open up around you. 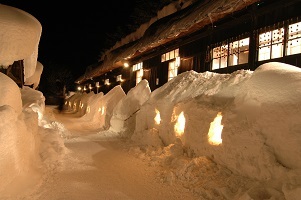 While leaves on trees change to shiny golden colors in autumn which attracts many season admirers, on the other hand you may surprise the volume of snow falls in Winter. 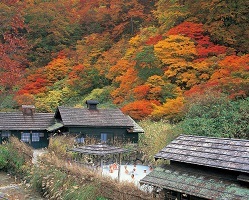 For other hot spring areas please see our Hot Spring Page. Welcome to Taenoyu. 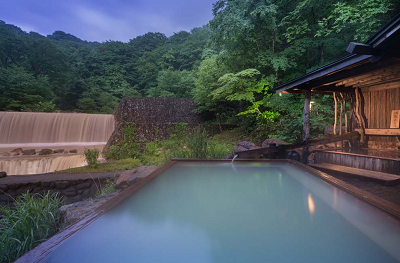 Situated deep in the mountains of Nyuto in the Akita Prefecture, there is a stretch of onsens. Their views are breathtaking and simply put, each one is a little slice of hidden paradise. Taenoyu opened its business in 1953. There are 17 rooms. They are especially proud of their regional cuisine. 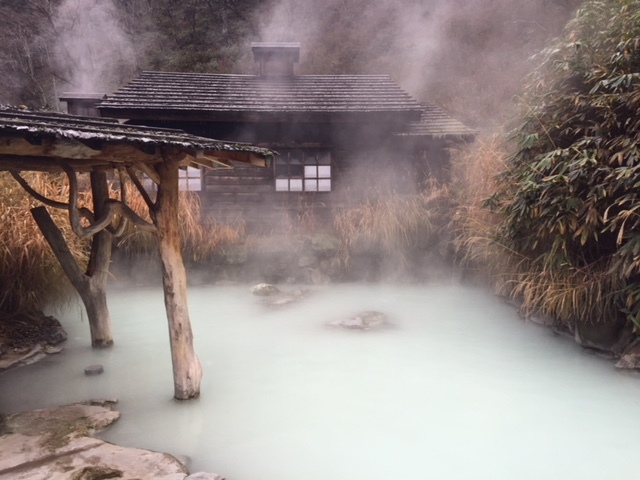 Welcome to Kuroyu Onsen. 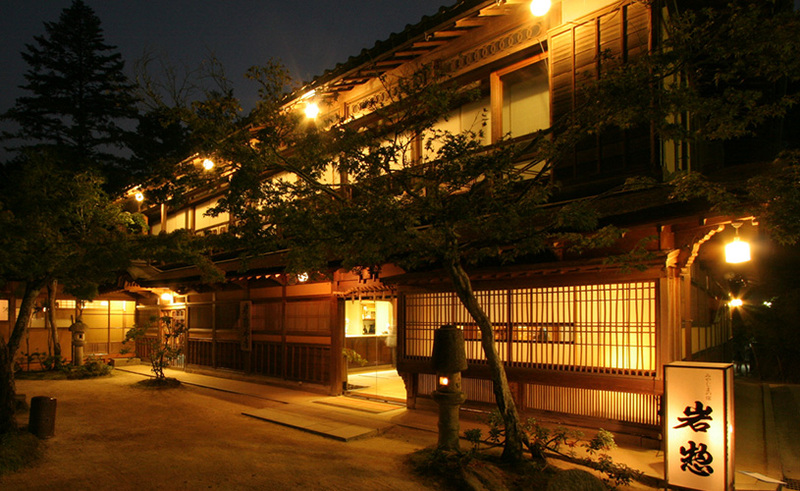 This fantastic ryokan is ONLY open between mid April to mid November. It was first established about 350 years ago. 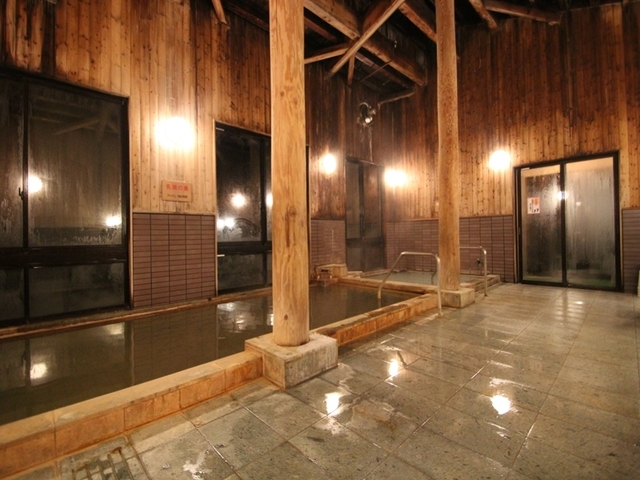 There are 16 guest rooms at Kuroyu Onsen. 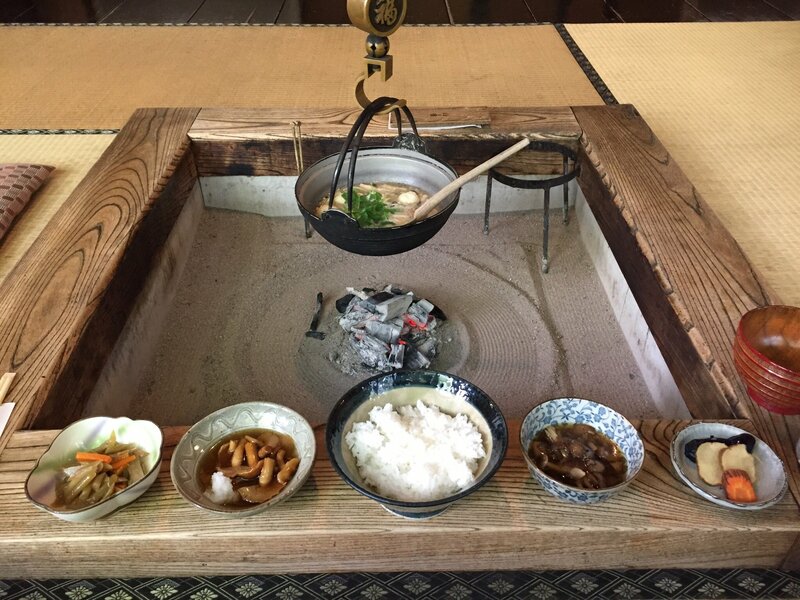 The owner of Kuroyu Onsen is especially proud of the local food the provide.